Is the Wild Atlantic Way on your bucket list? Then you want to grab this travel guide to Ireland’s wild west coast! Last year I was lucky enough to explore Ireland, hike the IAT and go sea stack climbing. What caught my interest and brought me to the Green Isle, however, was the Wild Atlantic Way: The world’s longest coastal touring route which goes from south to north along the west coast and is over 2.500 km long. There’s all kind of adventures to be had along the WAW, from visits in picturesque Irish villages and their pubs to bigger towns and their cultural offerings. However, Exploring Ireland’s Wild Atlantic Way helps you find the off-the-beaten-track gems and takes you outdoors into the fresh, Irish air (and occasional rain shower!). On 224 pages Exploring Ireland’s Wild Atlantic Way takes you from the south in Kinsale to the far north of Malin Head along the coast. In seven chapters - divided by county - you can start to explore the Wild Atlantic Way. Do you fancy surfing, sea stack climbing and lots of remote wilderness? Then head to Donegal in the north. Do you prefer a cable car ride to an island, trying your luck fishing or going cycling? Then Cork in the south is a good place to start your adventures! Wherever you decide to go, Exploring Ireland’s Wild Atlantic Way will have an insider tip ready for you. The seven county chapters are further divided into sections, each coming with their own little overview map to give you a feel of the land. Hundreds of gorgeous photos will get you in the mood to explore, while the detailed introduction chapter gives tips on when to come, what to bring and any other question you may have. Ireland is beautiful, and Exploring Ireland’s Wild Atlantic Way helps you discover the green isle beyond the hustle and bustle of Dublin and the other big towns. 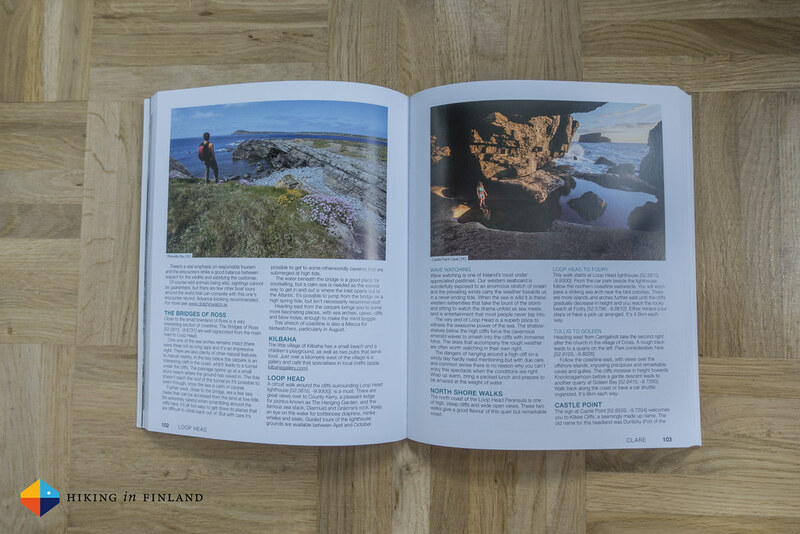 Jam-packed with beautiful photos that inspire to visit the described places on Ireland’s west coast this book helps you plan your ultimate outdoor adventure itinerary. 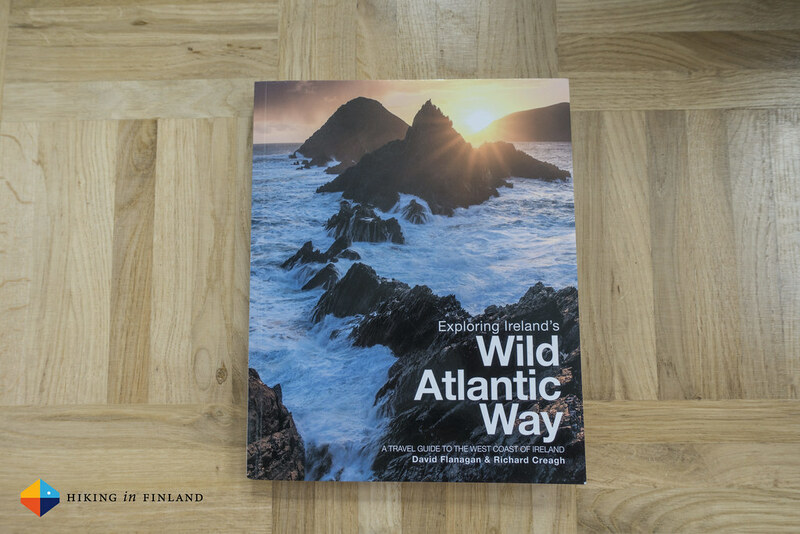 Three Rocks Books has created another stunning book which showcases some of the best scenery, sights and places in Ireland, and no matter if you plan to explore the Wild Atlantic Way on a roadtrip, by bike or public transportation, it will make sure you will see the true Wild Atlantic Way. My tip: Book a flight to Ireland the same time you order this book! Buy it directly from Three Rocks Books or from Amazon.com, Amazon.co.uk or Amazon.de. Disclaimer: The book was sent for free to me by the publisher. This does not influence the article as I maintain full editorial control of the content published on this site. There are affiliate links in this article. Read the Transparency Disclaimer for more information on affiliate links & blogger transparency.